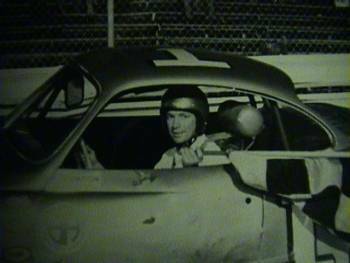 Donnie Allison visited the track! Donnie was friends with George Sweeting, so George arranged an appearance when he was in town. 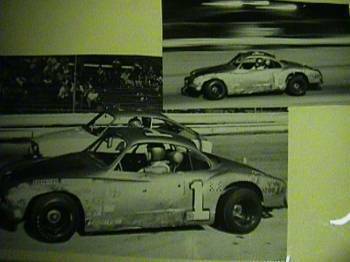 Donnie is Bobby Allison's brother and was part of the original "Alabama Gang". He has 10 wins in the Winston Cup racing. The date of this appearance may have been May 12, 1973. 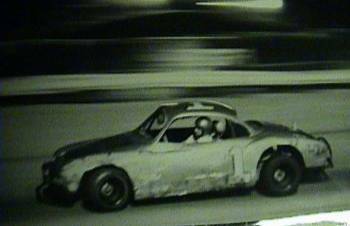 Here he is driving George Sweeting's potent Karman Ghia. The race was no exhibition; it was run flat out and Donnie won it. 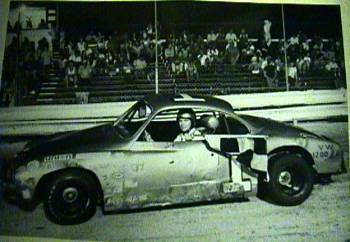 When is the last time you saw a Winston Cup driver racing in a t-shirt? Donnie at speed on the high banks.